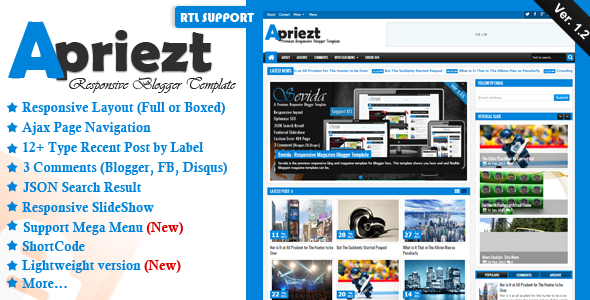 Description: Apriezt - Responsive Magazine News Blogger Templates is a blogger theme with responsive layout and two style Boxed or Full width. Its High User Friendly Blogger Template. Its design simple and clean and perfect for News, Magazine or portofolio websites. With an attractive color combination and impressed professionals and has many features.